A list of independently owned and unrelated hotels, resorts and serviced apartments in the Queensland holiday destination of Mermaid Beach is what Ozhotels gives you. Travellers are able to deal directly with these Gold Coast apartments and resorts, therefore ensuring that they find the best possible rates for their next holiday. So that next time you are going on a vacation book your resort or apartment accommodation in Mermaid Beach online and get value for money discount rates. The southern Gold Coast region of Mermaid Beach is a conveniently located holiday spot for international tourists, families and couples looking for a romantic weekend away. It features a large variety of places to stay from self contained holiday apartments and luxury resorts through to budget hotels and motels. 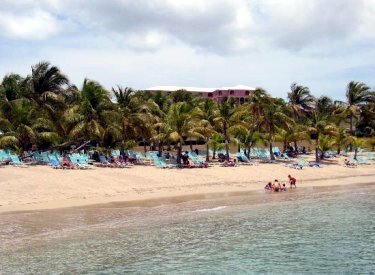 Because there is wuch a wide range of accommodation in Mermaid Beach many people find is rather difficult and time consuming task to find a place that is right for their specific needs. This is where the use of an accommodation expert like OzHotels can really be useful. They allow you to compare hundreds of different properties that are situated all over Mermaid Beach and find the one that meets your needs and travel budget. The main advantages of booking online with OzHotels is that you can book your travel a long time in advance and that you will get an extra discount off the already cheap rates the longer that you holiday in Mermaid Beach. Beaches on Wave Street provides premium holiday accommodation at Nobby Beach on the Queensland Gold Coast. This apartment property is ideally located only 150 metres from the beach and within easy walking distance of Broadbeach Oasis, Jupiters Casino, Pacific Fair shopping centre and the Gold Coast Convention Centre. This beautifully presented Mermaid Beach accommodation is available as one or two bedroom air-conditioned apartments featuring all the amenities you need in a self catering holiday apartment. Beaches on Wave Street Apartments are positioned in a landscaped garden setting and including relaxing resort facilities such as a large sparkling in ground pool, heated spa, sunbathing area, BBQ facilities, Free underground secure car parking, tour desk, luggage storage and professional onsite management. The Quality Hotel Mermaid Waters is situated on the beautiful Queensland Gold Coast, just 6kms from Surfers Paradise and 1km from the world famous Gold Coast beaches, Jupiters Casino and Pacific Fair shopping centre. 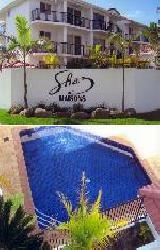 The Quality Hotel Mermaid Waters operates a complimentary bus to these locations from Monday to Friday. 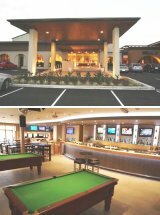 The Pullman's restaurant at this affordable Mermaid Waters accommodation is open daily for buffet or room service breakfast and many other restaurants in the Mermaid Beach area can be recommended for both lunch and dinner. The accomodation at the Quality Hotel Mermaid Waters is both spacious and comfortable with complimentary in-house movies and the option of kitchenette rooms for longer stays. 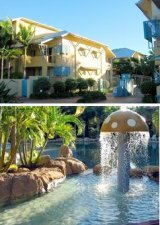 Value for money apartment accommodation on the Gold Coast for the budget conscious holiday traveller. For more Mermaid Beach Apartments click here. If you are looking for a truly enchanting holiday then stay at the Shaz Maisons Mermaid Beach accommodation and discover the relaxing side of the Gold Coast. The Shaz Maisons Apartments is a low rise luxury Mediterranean style resort offering one bedroom self contained apartments, set in tranquil beachside surroundings close to patrolled beaches, local shops, surf clubs, restaurants, cinemas and central to all major attractions on the Gold Coast. Also Broadbeach, Nobby Beach, Miami Beach and Burleigh are right at the doorstep of the Shaz Maisons. Fantastic shopping, including the famous Pacific Fair Shopping Centre are located close to Shaz Maisons, as is Jupiters Casino. A perfect Mermaid Beach location within close proximity to the natural beauty of the Hinterland and Mount Tamborine. Situated just metres from patrolled surf beaches the Diamond Sands Apartment Resort at Mermaid Beach is a great place to stay without breaking your family budget. These quality 1, 2 and 3 bedroom apartments are fully furished, ideally situated close to the Pacific Fair Shopping Centre and Jupiter's Casino and are perfect for both family holidays and romantic getaways to the Gold Coast. 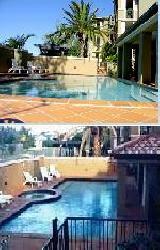 Great value discount rates are available for longer stays at the Diamond Sands Apartments in Mermaid Beach.